The Association for Preservation of the Eastern Shore was formed in October 1972 and officially incorporated on January 15, 1974. The stated objectives of the Association were to “preserve the natural and human resources of the coastal region of Nova Scotia commonly known as the Eastern Shore”; and to “identify and study these resources, and encourage their development in a manner compatible with the existing social and physical environment of the area”. Additional objectives of the Association were to promote public awareness of its objectives by organizing public discussions in communities in its area; to distribute and publicize reports of its findings; to raise funds; and to “take legal action where possible, in defense against developments deemed by the society to be contrary to its objectives”. The Association formed in late October 1972, not long after the federal and provincial governments announced, on August 24 of the same year, their Memorandum of Intent for a National Park in the Ship Harbour area. 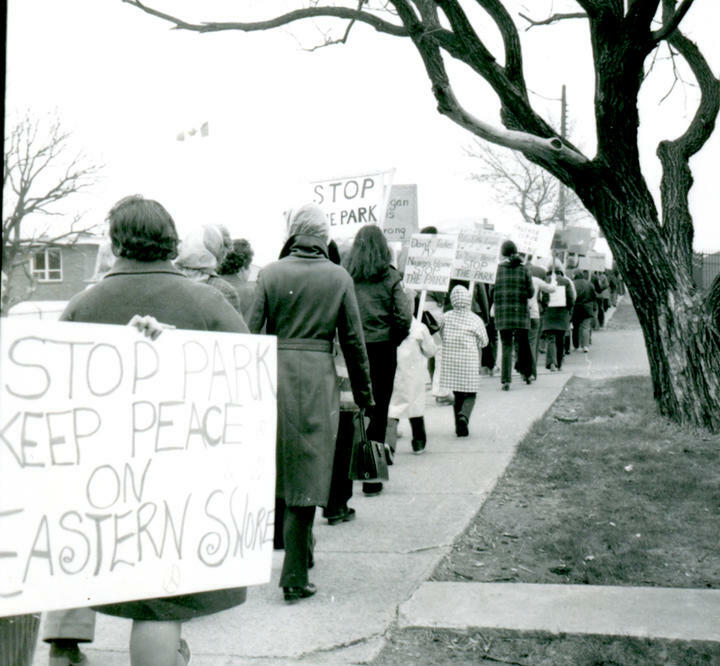 The Association’s creation coincided with the dissolution of the Committee to Prevent the Proposed Park, a short-lived organization which included some of the same members. In its early years, the Association focussed the majority of its efforts on opposing the establishment of the National Park as proposed in the Memorandum of Intent. After the governments announced the abandonment of the National Park plan in late 1973, the Association broadened its activities to address a number of issues and concerns of relevance to its official objectives. The Association was comprised of members and associate members who paid an annual fee, and was divided into Districts which corresponded to the Municipal Electoral Districts of Halifax located along the Eastern Shore. The Association was administered by a board of Directors elected from each District. In addition, the District Directors elected officers, including a District Chairman and Recording Secretary for each District, and a set of executive officers for the entire Association (including a President, Vice President, Treasurer, Secretary, Membership Secretary, and an Immediate Past President). Association Presidents included George R. Smith and John Kennedy in the early years, and Helene Read in the later years. Another important Association member was Gordon Hammond, who served in the early years as Secretary and spokesperson, and was responsible for many of the letters, statements, briefs and other documents produced by the Association during that time. The Association ceased its activities sometime after 1984 and was formally dissolved in about 2000 when the last Board of Directors transferred the remaining funds to the Lake Charlotte Area Heritage Society. Most or all of the records received from Gordon Hammond were kept at his residence in Clam Harbour from the time that they were created until they were donated to the Eastern Shore Archives in 2009, and were located in his basement office for many years. Sometime possibly in the 1980s, Hammond lent some of his records to a student for a research project, but it is not known whether or not these records related to Hammonds participation in the Association or in the Eastern Shore Seaside Park System Citizens Representative Committee (a separate organization of which he was also an active member). The student, who possibly attended Dalhousie or St. Marys University, did not return the records, and their whereabouts are unknown. The records received from Keiver Read were kept by his mother Helene Read at her residence, probably from the time that they were created. After Helene Read died, Keiver retrieved the box containing the records from her basement, transferred it to his residence, and kept it there until he donated it to the Archives in 2009. Fonds consists of records of the Association for Preservation of the Eastern Shore and its members. Records were created between 1969 and 1995, but predominantly between 1972 and 1983. Photocopies were made of documents on thermal paper, and in some cases the originals were removed. Photocopies were also made of most small-sized newspaper clippings, in which cases the originals were removed. Donated by Keiver Read, son of former Association President Helene Read, and by former Association officer Gordon Hammond in 2009. Where possible, original order was maintained, however order was imposed on records donated by Keiver Read under accession number 2013.019. Association for the Preservation of the Eastern Shore also appears in the fonds as a variant name of the Association. When appropriate, some publications were catalogued in the Research Module and made available in the Reading Room of the Archives, while other publications and documents were weeded and disposed of. Photocopies were made of documents on thermal paper and in some cases the originals were removed. Photocopies were also made of most small newspaper clippings, in which cases the originals were removed.